The “LA TROP ROSEE” rosée beer containing grape tannins is a perfect example. It was when we were selecting our delicious and light beer profiles, particularly appreciated in our Mediterranean climate, that we had the brainwave of blending in some grape tannins in order to stabilize the aromas and the rosée hue that we wanted this LA TROP ROSEE rosée beer with grape tannins to have. We chose a Pilsen-type craft beer recipe, created by bottom fermentation, resulting in a highly aromatic character, using malts selected for their delicacy and purity, combined with two types of hops, bringing subtle fragrant notes and a slight, delicate bitterness. The yeasts, which are also very carefully selected, create this well-balanced, delicious, fresh beer. We blend in concentrated grape must and grape tannins to provide this gentle brew with a fine structure of natural fruity aromas and to stabilize its rosé hue, also of natural origin. The combination of tannins, grape must and aromas characteristic of the Syrah clearly display the finesse of this grape variety and the characteristic aromas of rosé wines from Provence. LA TROP® Rosée’s perfumes and its rosée hue delicately reveal the marriage of grapes and beer. * LA TROP ROSEE started off as a beer with grape tannins, but because this is “produced in France” product, when grape tannins are added to the traditional beer ingredients, the official designation becomes “a beer-based flavoured /alcoholic beverage”. we answer you with pleasure! For more information, you simply take the time to fill out our online form. Partager la publication "LA TROP® ROSÉE"
Pale, soft, slightly salmon hue, very reminiscent of a rosé wine from Provence. The bubbles are fine and even. The mousse is very light and gentle, forming a pretty ring. On the nose, the beer is fresh and delicious. The maltiness on entry reminds the drinker of the nobility of the beverage. Aromas of red fruit and blackberries, evocative of the Syrah grape, then start to come through. The beer is supple, perfectly well-balanced and coats the palate. The hops chosen add a subtle, pleasant bitterness. Light, red-currant and fig aromas amplify the sweetness of the brew. Experience the light character of a beer combined with the aromas of a rosé wine: the marriage of beer and grapes in a brew created by Thomas Carteron! What is the best way to enjoy this craft beer with a sunny character, born in the Var region? Serve it as an aperitif with friends on a lovely sunny day, on the patio, on vacation, etc. 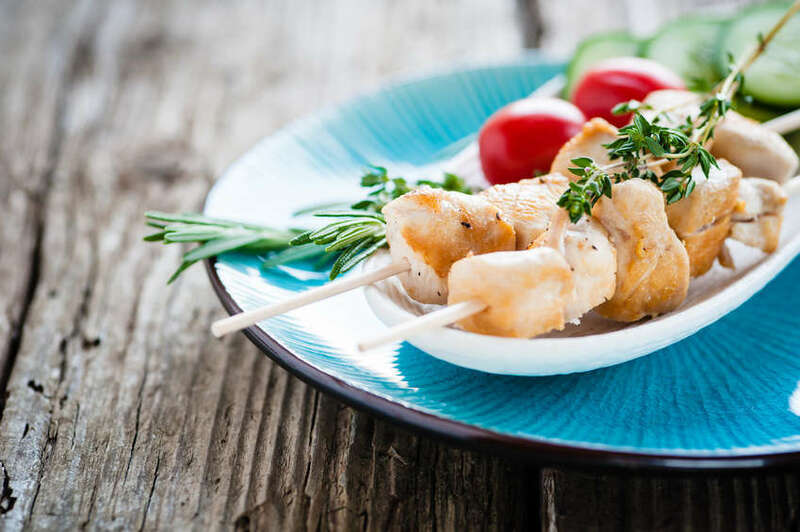 Enjoy it paired with some chicken skewers with herbes de Provence or stuffed squid, creating the perfect marriage of flavours on the palate. You could also try it with marinated red peppers or even sushi and sashimi, the effect will be explosive! When served well chilled, almost “frappé” (4-6°C), our French craft beer will amaze you! At the outset, we were vignerons and négociants in Saint-Tropez in the Var region. We decided to think outside the box and explore new avenues, so we set up a brewery and became “Bière de France” producers. 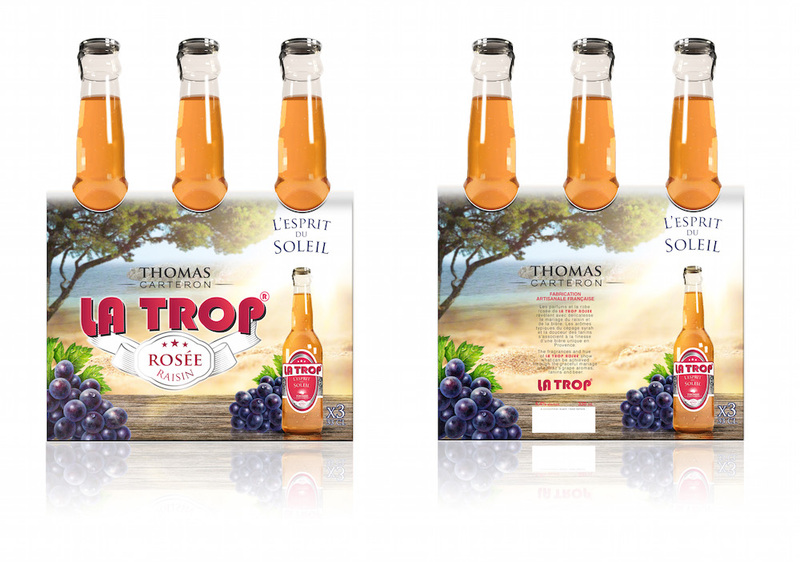 Following the success of our craft beers, particularly La Trop® Rosée, we decide to scale-up our production. We are now installed in a larger facility, but one of human size, in which we have perfect mastery of all the techniques required to produce our recipes. Our Quality Assurance Department guarantees the consistency of our products.